It is a rare occasion to have one of our Past Masters honoured by being awarded an Honorary Fellowship of City & Guilds. 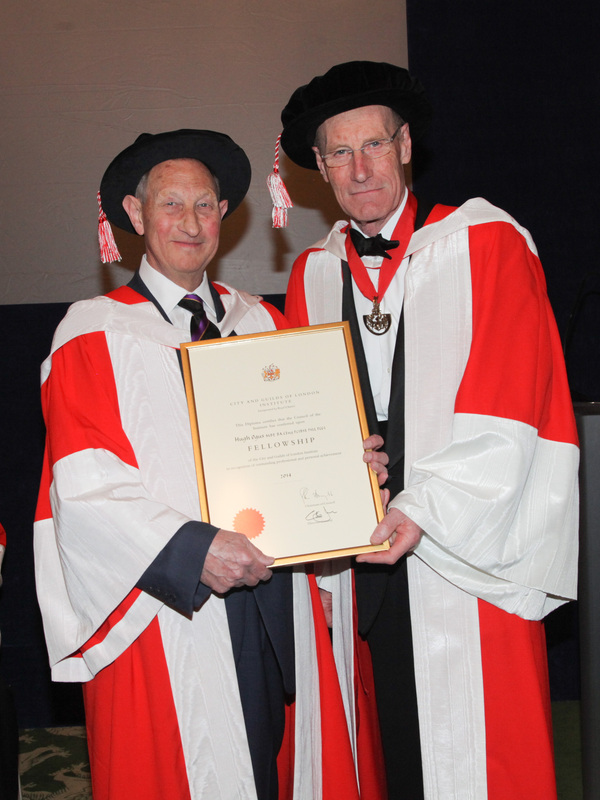 Past Master Hugh Ogus MBE has been elected an Honorary Fellow of City & Guilds – “For exceptional contribution to the lighting industry and education.” Hugh was formally admitted into the Fellowship of the City & Guilds of London Institute (FCGI) at a recent ceromony in the Barber Surgeon’s Hall. The photo below shows Sir John Armitt, C&G Chairman, presenting the certificate.